You pay for six glasses, and we’ll ship you eight! Vinum was the first machine-made series of glasses in history based exclusively on the characteristics of grape varietals. Vinum has had a permanent impact on the globe’s wine culture. These glasses have proved that the pleasures of consuming wine start with the glass.Perfect for young, full-bodied, complex red wines that are high in tannin. This glass smoothes out the rough edges, emphasizing the fruit, allowing wines to achieve a balance that would normally take years of ageing to acquire. The generous size of this glass allows the bouquet to develop fully. 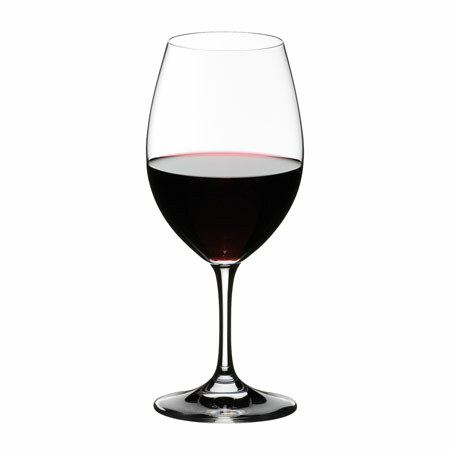 The shape directs the flow of wine onto the zone of the tongue which perceives sweetness, thus accentuating the fruit and de-emphasizing the bitter qualities of the tannin.Recommended for: Bordeaux (red), Cabernet Franc, Cabernet Sauvignon, Merlot, Rioja, Tempranillo. Each glass stands 8 7/8″ high and holds 21 1/2 oz. Boxed set of 8.The Vinum series is made from 24% lead crystal.Wine sold separately.Attention California residents. Proposition 65 warning: Consuming foods or beverages that have been kept or served in leaded crystal products or handling products made of leaded crystal will expose you to lead, a chemical known to the State of California to cause birth defects or other reproductive harm.Promotional code discounts do not apply to this product. Vinum was the first machine-made series of glasses in history based exclusively on the characteristics of grape varietals. Vinum has had a permanent impact on the globe’s wine culture. These glasses have proved that the pleasures of consuming wine start with the glass.The Vinum Pinot Noir/Burgundy glass is excellent for full-bodied red wines (more than 12.5 percent alcohol) with high acidity and moderate tannin. This glass directs the flow of wine onto the zone of the tongue which perceives sweetness, thereby highlighting the rich fruit and tempering the high acidity of the wine. The large bowl captures all the nuances of the wine’s aroma.Recommended for: Barbaresco, Barbera, Barolo, Burgundy (red), Gamay, Nebbiolo, Pinot Noir. Each glass stands 8 1/4″ high and holds 24 3/4 oz. Boxed set of 2.Wine sold separately.The Vinum series is made from 24% lead crystal.Attention California residents. Proposition 65 warning: Consuming foods or beverages that have been kept or served in leaded crystal products or handling products made of leaded crystal will expose you to lead, a chemical known to the State of California to cause birth defects or other reproductive harm.Promotional code discounts do not apply to this product. Riedel decanters combine sophistication and elegance with optimal shapes for aeration.Decanting old wines, just a few moments before they are served, helps to ensure that the wine’s clarity and brilliance are not obscured by any deposit that may have developed over time. Decanting young wines several hours before they are served gives the wine a chance to bloom and attain a stage of development that normally requires years of aging.The Riedel Ultra Decanter is a superb piece of hand made crystal glassware. 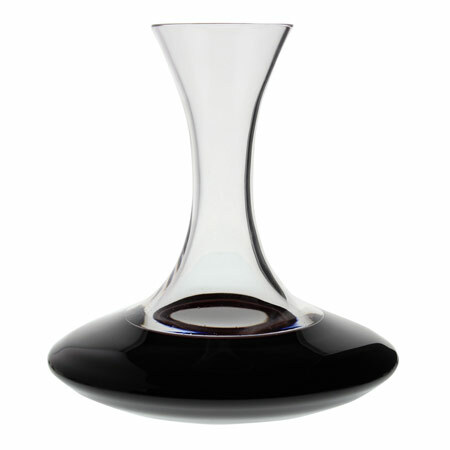 It is designed to showcase the best characteristics in a wine by providing a broad base for the wine to aerate and at the same time being a sophisticated presentation piece. 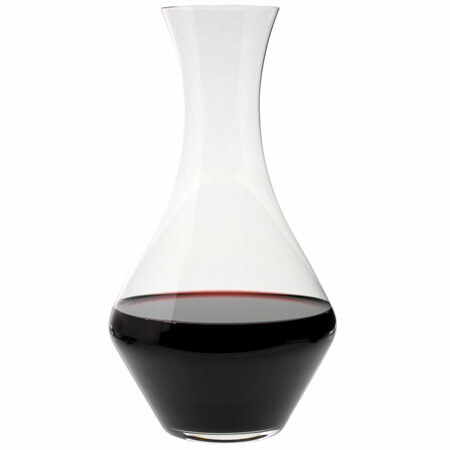 The decanter stands 8 3/8″ high and holds 1,230 ML/43-3/8 oz. Made from 24% lead crystal.Wine sold separately.Attention California residents. Proposition 65 warning: Consuming foods or beverages that have been kept or served in leaded crystal products or handling products made of leaded crystal will expose you to lead, a chemical known to the State of California to cause birth defects or other reproductive harm.Promotional code discounts do not apply to this product. 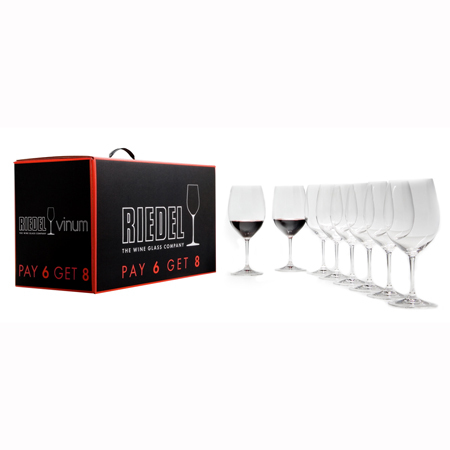 he Riedel Ouverture series are the ideal all purpose glasses for everyday use. The collection offers perfectly shaped wine glasses at competitive prices.The Ouverture series is made from lead free crystal. 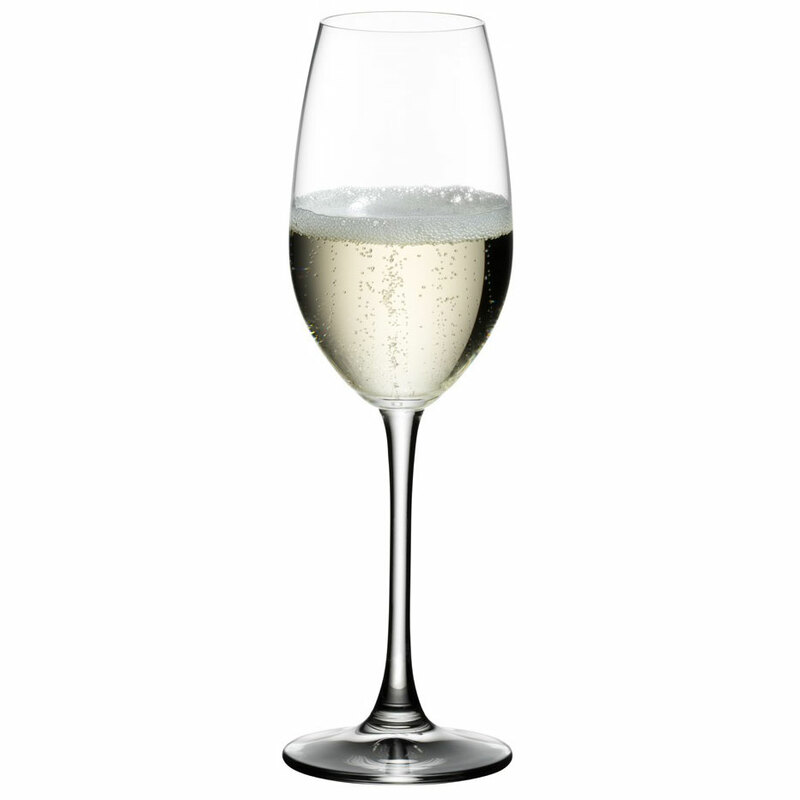 The Riedel Ouverture Champagne flute is ideally suited for the appreciation of Champagne and Sparkling Wine.Each flute stands 8 1/2″ high and holds 9 1/8 oz. Sold in a boxed set of 2.The bottle pictured in the background is for size representation only. Wine sold separately and encouraged for best enjoyment of glassware.Promotional code discounts do not apply to this product. 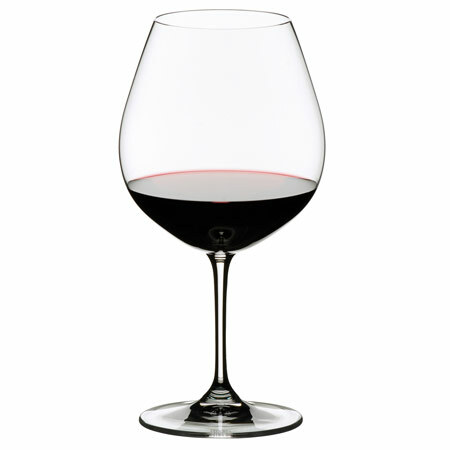 The Riedel Ouverture series are the ideal all purpose glasses for everyday use. The collection offers perfectly shaped wine glasses at competitive prices.The Ouverture series is made from lead-free crystal. The Ouverture Red Wine glass is ideally suited for the appreciation of red wines. Each glass holds 12 3/8 oz and stands 7 3/8″ high. Sold in a boxed set of 2. Wine sold separately and encouraged for best enjoyment of glassware. In the shape of an apple and in line with New York fashion, this stylish, functional piece can be repurposed for all types of wine, making it something of a “little black dress” for the dinner table. The Riedel Apple Decanter is machine blown from lead free crystal and stands just over 7-1/2 inches tall with a capacity of 1.5 liters, making it perfect for decanting a standard 750 ml bottle of wine. 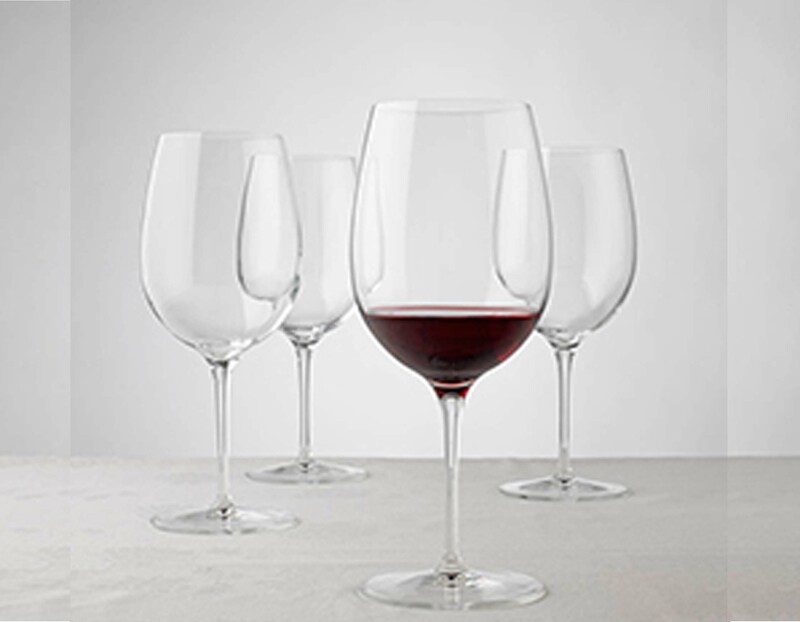 The Riedel Ouverture series are the ideal all-purpose glasses for everyday use. 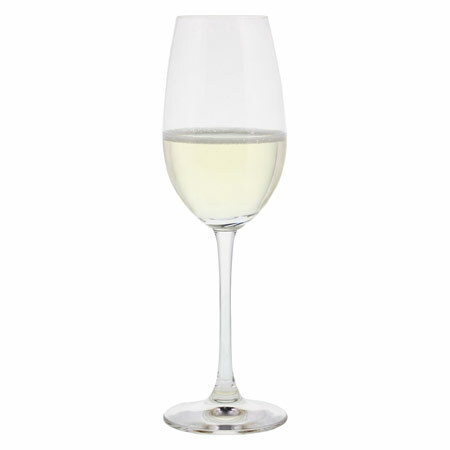 The collection offers perfectly shaped wine glasses at competitive prices. The Ouverture series is made from lead free crystal. 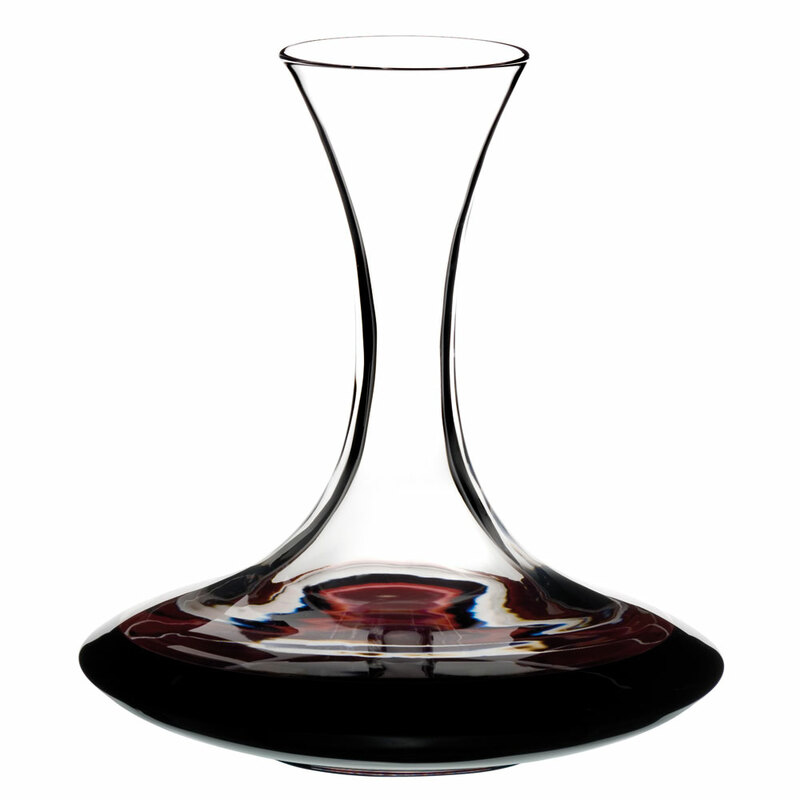 The Ouverture Red Wine glass is ideally suited for the appreciation of red wines. Sold in a boxed set of 6. Hand washing recommended. Wine sold separately. Promotional code discounts do not apply to this product. Riedel decanters combine sophistication and elegance with optimal shapes for aeration.Decanting old wines, just a few moments before they are served, helps to ensure that the wine’s clarity and brilliance are not obscured by any deposit that may have developed over time. Decanting young wines several hours before they are served gives the wine a chance to bloom and attain a stage of development that normally requires years of aging.The Riedel Cabernet Magnum Decanter is a larger size of the Riedel Cabernet Decanter. It can hold a magnum of wine or two standard 750-ml. bottles. 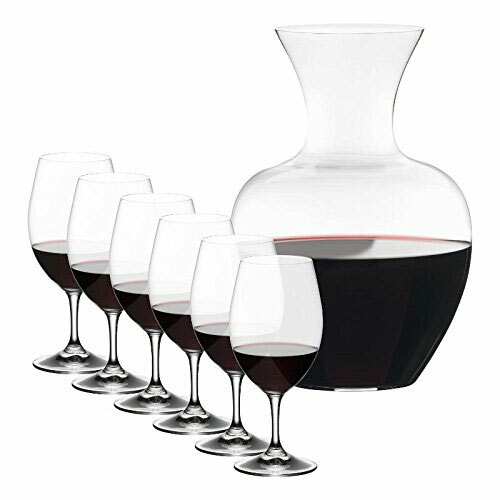 The decanter stands 10 1/2″ high and holds 1,700ML / 60 oz. Made from 24% lead crystal.Wine sold separately.Attention California residents. Proposition 65 warning: Consuming foods or beverages that have been kept or served in leaded crystal products or handling products made of leaded crystal will expose you to lead, a chemical known to the State of California to cause birth defects or other reproductive harm.Promotional code discounts do not apply to this product.